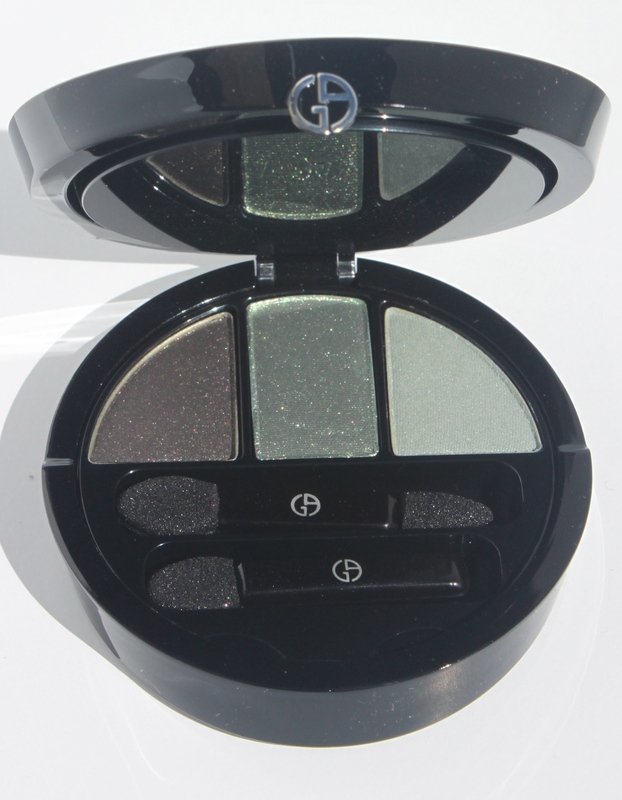 Giorgio Armani’s second palette for Fall 2013 is Venomous Green. This palette is a winner for me as the green look you get from this trio is bold an unusual. As with Mystic Blue (reviewed here) it is a double tiered palette, with a cheek powder on the top and a trio of shadows on the bottom. The cheek colour is more pink toned than the one in Mystic Blue. It is very light on my somewhat NC25 complexion and acts more as a natural accent than proper cheek colour. I prefer the colour in Mystic blue over this one, but with such a bold eye this works to temper the entire look, so cheeks and eyes do not compete for centre stage. 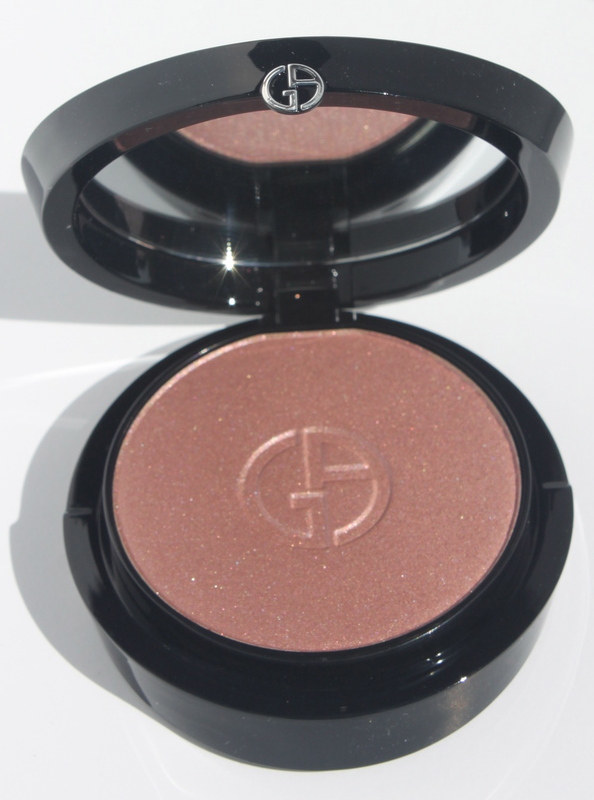 The powder is soft and finely milled, as one would expect from high-end Armani. The star of the palette is of course the three exquisite shadows. They are highly pigmented and swatch in one swipe. They require a little more attention when applying on the eye. Primer, patting, blending and patting some more will be needed to make the middle shade pop as it should. The first shade is a sooty dense bark brown (almost matte) with warm toned reflects. It is not a true duo chrome but does have hints of bronze interlaced with the bark shade.This shade is more complex than the dark shade in Mystic Blue. Perfect for lining the eye. Of course you can add it to you outer v or use as a crease shade. The middle shade is a vibrant forest green with a blue undertone and a satin finish. This colour sold the palette for me. 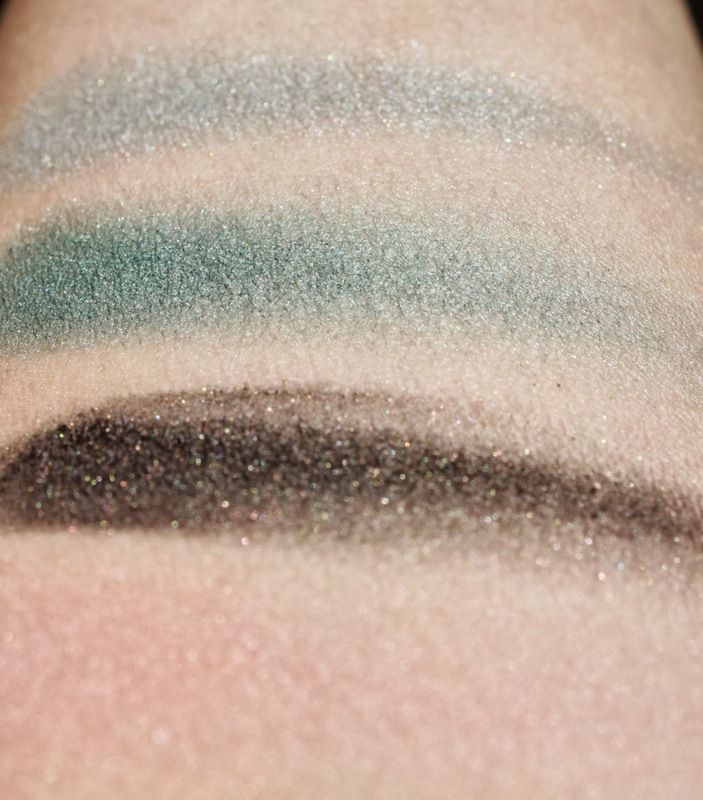 This can be used in the outer v, a liner for the more shy green lover or all over the lid for dramatic effect.The last shade is an icy (not frosty) arctic green that leans blue in different lights. This shade is more shimmery than the other two. Good for the inner eye area or in the crease to help soften the forest green and to blend out. The bark shade and the arctic green could be used as a duo for a more monochromatic look. All three are a contrast in colour and finish. One might find a green palette to be restricting but I do think it is actually quite versatile. Perfect for Fall. This palette could have done without the cheek colour, but I love it all the same. What are your favourite colours to wear on your eyes for fall – do you love or hate a coloured eye and always reach for neutrals? Next Next post: September Empties – Finally!